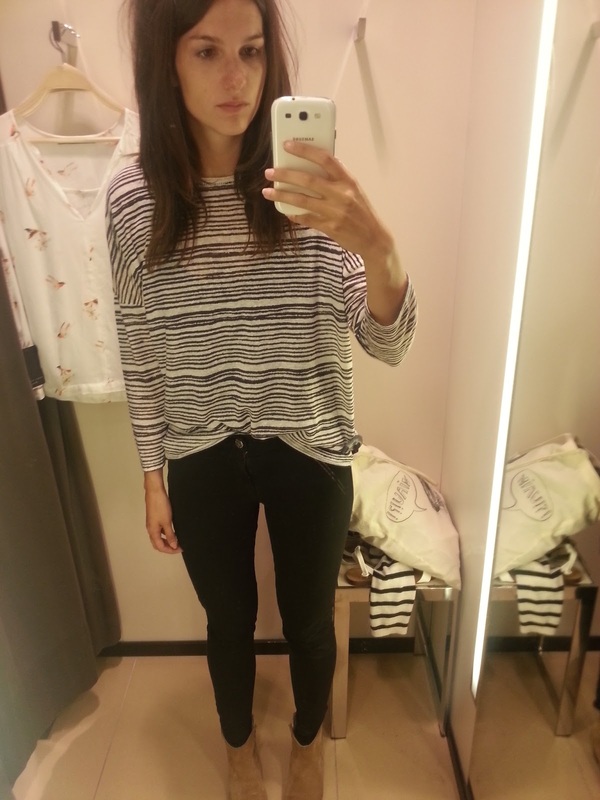 Some mobile pics from my outfits lately! It's time for me to shoot some outfits again, but the weather is so bad these last days :(. As soon as the sun is shining again, I will grab my camera and shoot some outfits! For now, some bad mobile pictures (a) sorry! 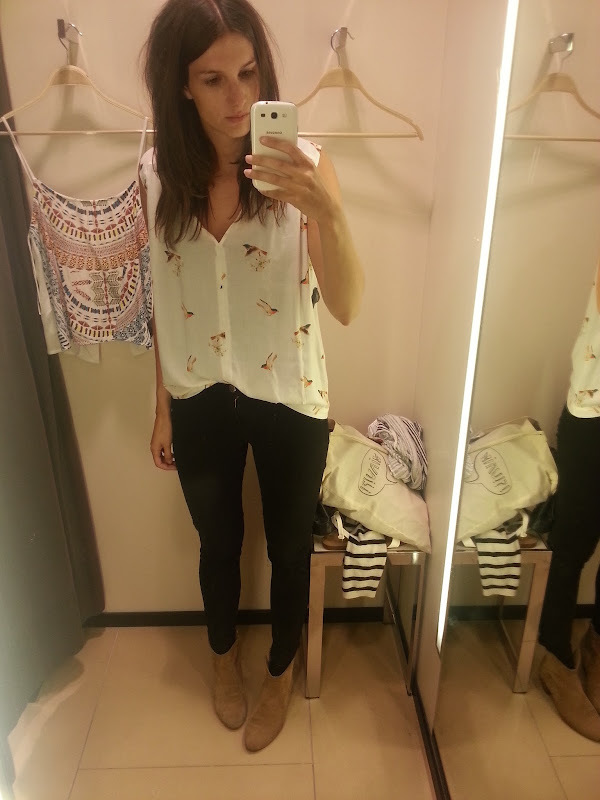 Bought the tops from the first, second and third pics in ZARA sale! 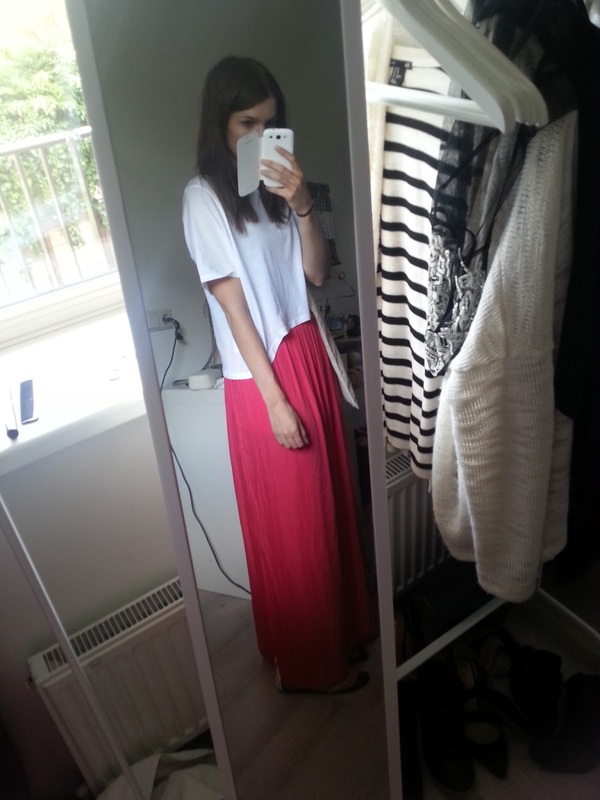 The third picture is my new maxi skirt from (again) Zara. Did you allready do some good sale shopping? 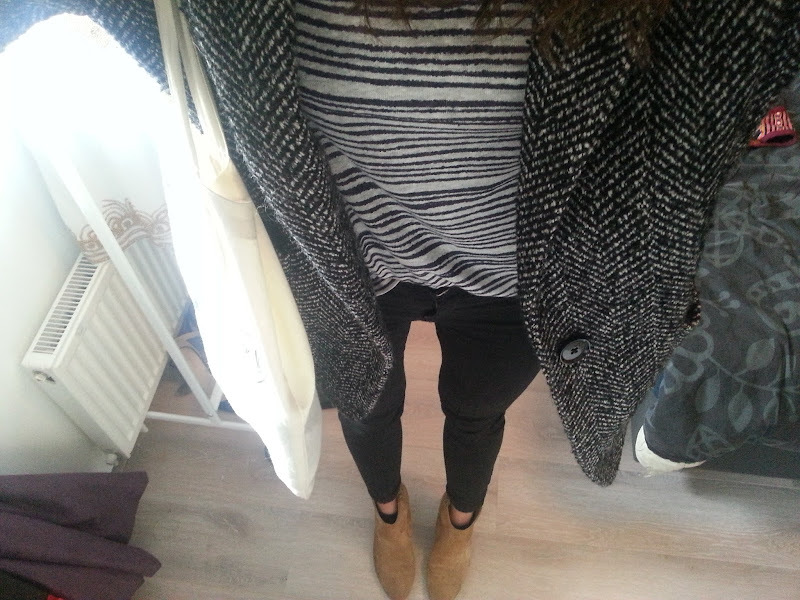 Vind dat blousje en die trui met die jas in combinatie erg leuk! Wat een schattig blousje op foto 2!